Five Polish animations in production will be presented during Animated in Poland pitching at Krakow Film Festival. Filmmakers and producers will have a chance to meet experts, eager to advice or decide on their movies’ fate. Animated in Poland is a section of KFF Industry programme focused on Polish animated cinematography. It includes discussion panels, workshops, pitchings and individual ‘one-on-one’ meetings. One of the main events in this year’s edition – for filmmakers and also invited international film experts – is pitching: presentation of Polish short animations in production. Each project will be presented by its director and/or producer in front of the audience of the movie industry specialists from the whole world: distributors, sales agents, festival programmers and film institutions representatives. Thanks to that the animations will get a real chance of getting to international film festivals and markets. 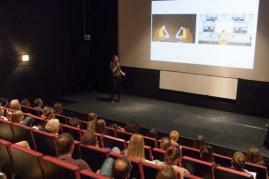 Five projects will be presented in this year’s edition of Animated in Poland – student films, as well as those made in professional studios. 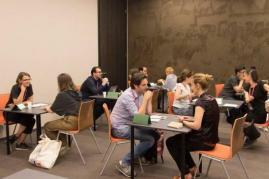 Before the pitching, its participants will take part in the pitch training that is combined with short project consultations held by Wim Vanacker – Head of the Script Department of NISI MASA and the project manager of European Short Pitch – one of the most important short film pitchings in Europe. The Flood – dir. Sofya Nabok, prod. Likaon Sp. z o.o. The Hunt – dir. Mateusz Jarmulski, prod. Animoon sp. z o.o. This year the representatives of the projects will have a chance to talk on one-on-one meeting afterwards with programmers of Berlinale, Venice FF, Winterthur ISFF, Filfest Dresden, Go Short and Anifilm i.a. Pitching will take place on 29th May 2018 at 12.00 in MOS. It will be held in English. An accompanying event will be a panel discussion "It's short time", of which participants - including short film competition programmers for Venice Film Festival and Berlinale and also European Film Award curator for short film category - will be promoting the significance of this genre on the international film stage. The panel will be held also on the 29th of May at 10.30 and is organized by the Munk Studio (operating within Polish Filmmakers Association), on the 10th anniversary of its existence. The sponsors of the awards and Animated in Poland partners are the Sound Mind studio and The Audiovisual Technology Center (CeTA). As in the previous year, one of the presented projects will be awarded with a coupon for 10 days of sound postproduction in Sound Mind studio run by Michał Fojcik. For the first time however, one of the projects will be given the Special Mention founded by CeTA, which is 60 000 PLN non-cash contribution to the winner director/producer’s production, in the form of renting equipment and infrastructure and also providing some services. The award will be carried out in The Audiovisual Technology Center CeTA in Wrocław. KFF Industry is the programme of industry events intended for film professionals attending Krakow Film Festival. See more here. POLISH FILMS AT AFI DOCS!